Tired of the dull look of the aluminum siding in your home? Want to bring back the curb appeal of your property without spending too much? Can you paint aluminum siding? You can make it possible by choosing from these two options. 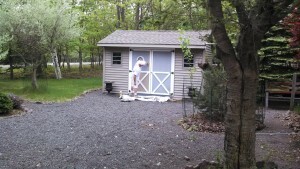 First, replace the aluminum siding with vinyl siding. Second, you can choose to apply a new coat of paint on the siding for its vibrant and fresh appearance. So, yes! You can definitely paint aluminum siding. An aluminum siding paint job typically lasts from 15 to 20 years. A nice benefit, isn’t it? But, you can only benefit from this if you get the paint job done the right way. What’s the definition of the right way? One thing you need to remember when painting aluminum siding is to prepare first. Going through the preparation process ensures the success of the project. By preparation, it means you need to check the existing siding and see if it has any issues, such as dents or unlocked or missing pieces. If there are issues, better fix them first before proceeding with the painting project. Cleaning the surface of the material is also an important part of the preparation process. You can do some power washing to remove dirt and chalky paint on the siding’s surface. Clean the surface using mild detergent and proceed with the power washing. When pressure washing, always begin at the top part of the siding going down. Let the surface dry completely for about 24 hours. Once the surface is completely dry, you can start applying on the primer. This is an important application for the coat ensures that the paint will bond properly and strongly to the surface. Choose a good latex primer and apply it using airless sprayer or roller. But, is application of primer really necessary? Basically, it depends on the condition of the aluminum siding. If the material is already weathered down or the surface comes up with discolorations or stains, then applying a primer is necessary. It is also a good solution if you want to ensure the longevity of the paint job. You can also determine if primer application is necessary by performing an adhesion test. The concept here is that when the paint comes off once the tape is taken off, the application of primer is required. It is not good to simply choose the first can of paint you will find. If you want the paint job to last for a long time, you need to use only the best aluminum acrylic paint. As for the color, you can choose whatever you prefer. However, it is best to choose paint colors that will not upset your neighbors. Or, if you are planning to sell the property, prevent prospective homebuyers from freaking out. To prevent any of those, your safest option is to choose a color that is similar to or complements the shades used at the neighboring houses. Remember, a painted aluminum siding does not require maintenance as compared to other painted surfaces. But, there are cases when you would want to clean the surface without affecting the paint job. You can still do maintenance cleaning. Just perform a light washing that makes use of a detergent. Can you paint aluminum siding? The answer is yes. Start planning to get your home’s aluminum siding painted, by calling the professionals to do it? Call Holencik Exteriors at 610-262-0919! They are professionals offering aluminum siding painting along other painting services! Unfortunately, painting vinyl siding was not a good option back then. This is due to the reason that it can cause some serious effects like warping. Years passed, and it remained as the case. But, the advancement in technology still brought up the question, “can you paint vinyl siding”? About 10 or 20 years ago, the answer would be a big no-no. But now, time has changed.